Printing Press Humidification System | Mee Industries, Inc.
How Can Press & Screen Printers Benefit from Humidification? 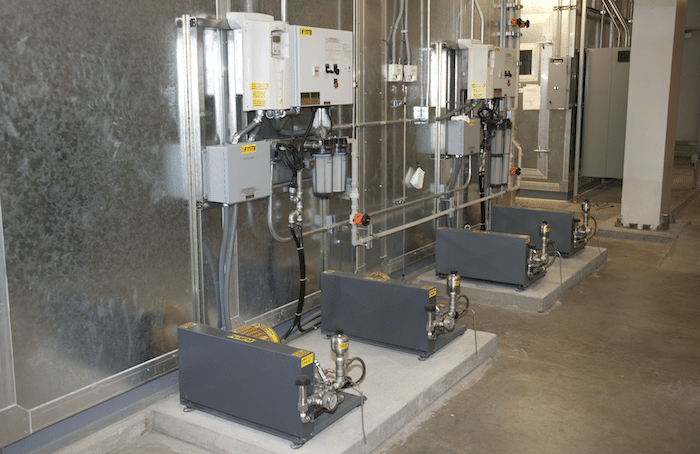 Facility Managers save energy and improve press speeds with proper humidification in Press Rooms. 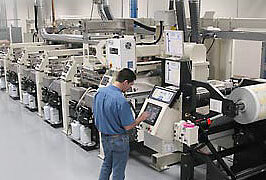 Faster press speeds and shortened job turn-around in printing plants requires Plant Managers to become knowledgeable of atmospheric conditions. One important factor is relative humidity. A RH of 35% to 45% should be maintained throughout the entire printing process. Some variables such as press consistency, ink transfer, dimensional stability, and screen stencil quality may require better control of the paper’s moisture content to keep things running smooth. 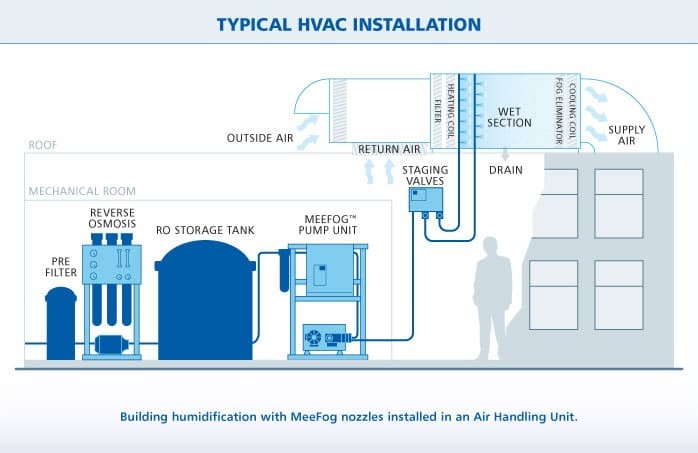 MeeFog can help you eliminate the humidification variable while meeting your stringent indoor air quality requirements by introducing closely monitored humidity into your facility. Maintaining proper humidity levels in paper warehouses and press rooms ensures dimensional stability for proper registration and optimum ink transfer conditions for improved repeatability and higher production speeds. Facility Mangers can rely on MeeFog to provide high quality pumps and highly efficient nozzles for optimum performance and longevity. Systems do not require compressed air or steam. 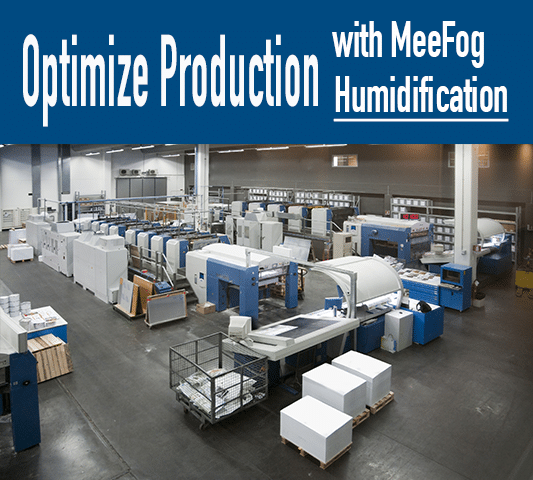 MeeFog humidification systems are the most reliable and economical solution on the market today. MeeFog helps Magnets USA maintain the required humidity level while meeting stringent indoor air quality requirements, that require bringing in a lot of outside air. The MeeFog system is over designed so it holds the humidity setpoint even when the delivery bay doors are open. Magnets USA noticed a positive impact on their product quality and manufacturing processes after installing the MeeFog humidification system. 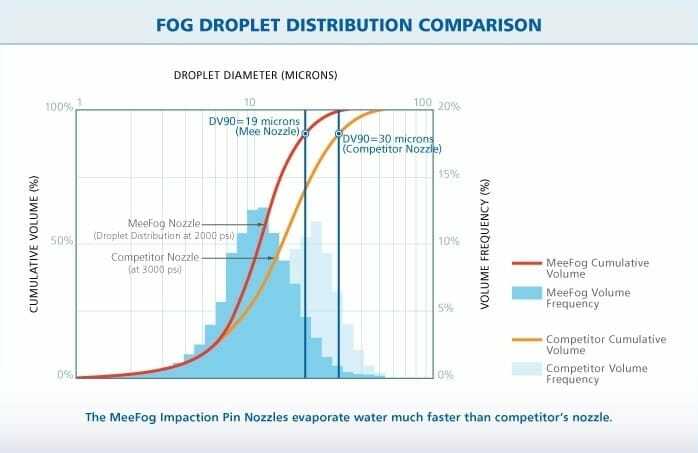 The humidification system is supported by an energy-saving MeeFog Reverse Osmosis (RO) water treatment system, which eliminates the possibility of fouling, bacterial contamination or mineral dusting issues. The RO system is designed to provide adequate flow even with cold inlet water temperatures. One of the biggest obstacles when applying water-based adhesives is the importance of ambient air conditions on dry/open airtime. 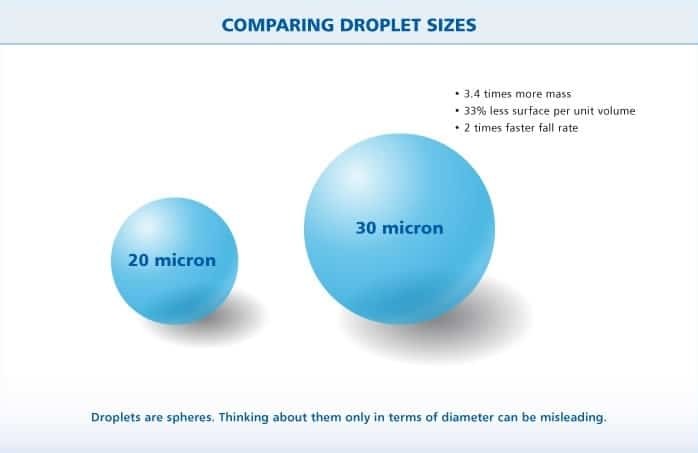 Low humidity levels can have a negative impact on production throughout the process. 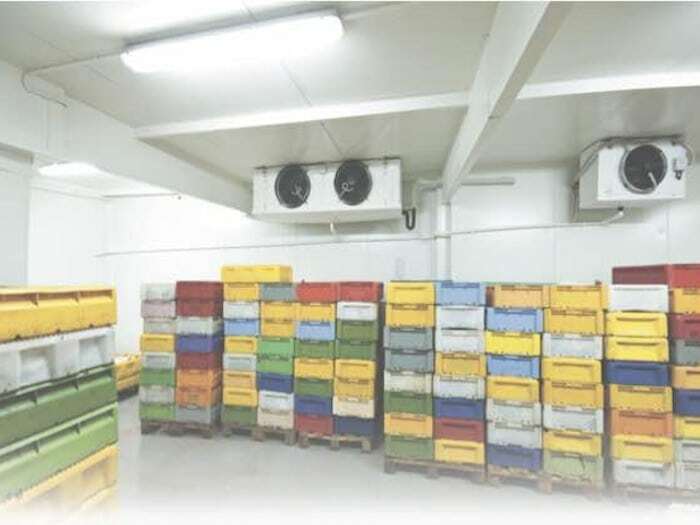 Mee Industries can improve production efficiency by reaching and maintaining the correct humidity levels throughout your facility. Proper control of Indoor Air Quality (IAQ) will also optimize conductivity for electrostatic paint and coating applications. 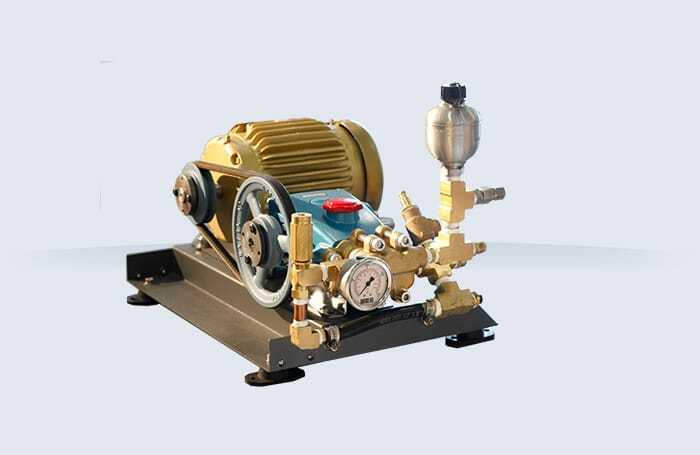 MeeFog systems use only the highest quality pump units and materials to ensure low maintenance and long life operations.